It never makes sense to pay more than is absolutely necessary. Thats when the essential RV app GasBuddy becomes your cost cutting partner. 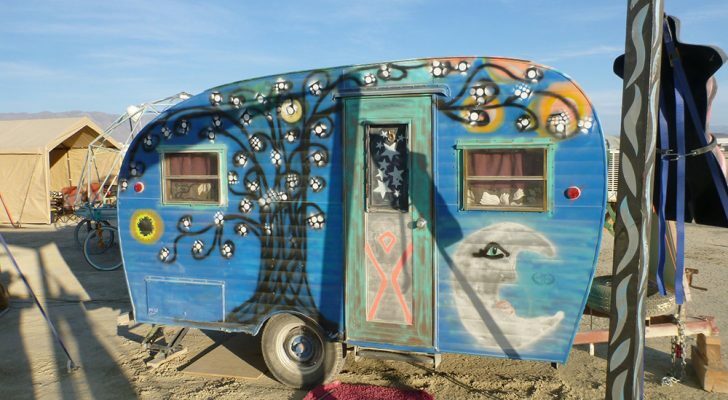 We doubt that any RV’er needs to be told that saving money while on the road is something worth considering. Whenever something is commoditized like fuel, it never makes sense to pay more than is absolutely necessary. 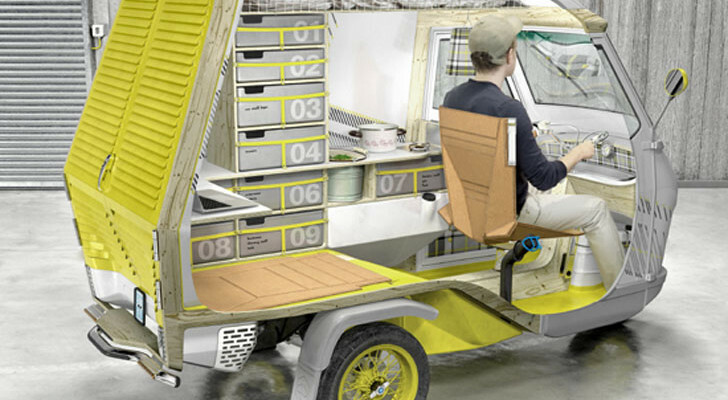 That’s where the must have RV smartphone application called GasBuddy becomes your cost cutting partner. 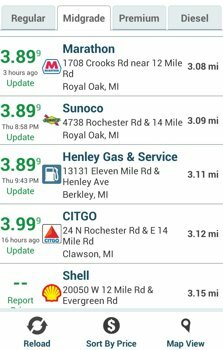 The GasBuddy essential RV app allows the user to find the cheapest fuel prices while traveling which is made more important for RV’ers as many are filling up gas tanks that are slightly larger than the 12 gallon tank on my neighbors Ford Focus. 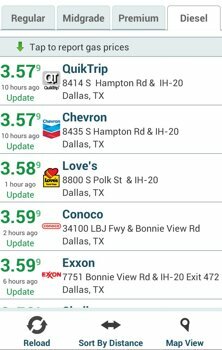 The reality is that in some areas of the US you will find discrepancies in fuel pricing fluctuate by $0.30 a gallon or more in the same area. GasBuddy is designed to help. 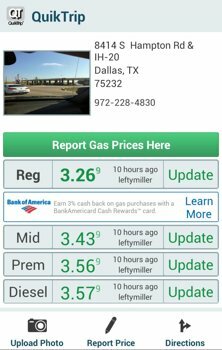 The GasBuddy RV app gets its real time fuel price information from users just like you. GasBuddy members are responsible for updating the prices, adding location information, photos, etc. It lets users report fuel prices on all fuel types (Yes, even diesel). GasBuddy will also let you know how long its been since someone updated the price. That can be quite important in a world where prices may change throughout the day. The good news is in our day to day use we have not seen any accuracy issues with pricing information. 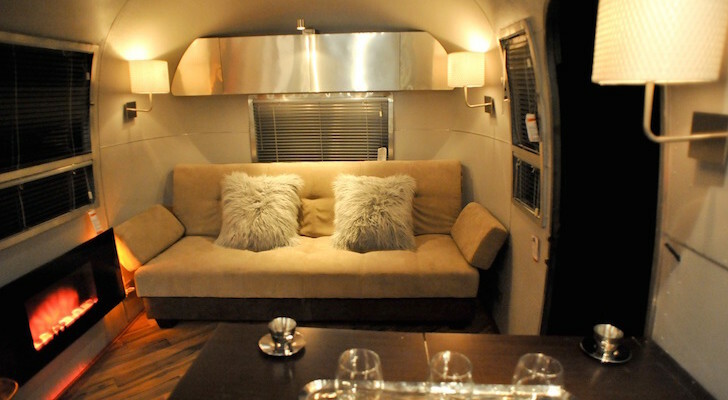 There are many ways to use this essential RV app to find cheap fuel. The basis of this idea starts with a search. 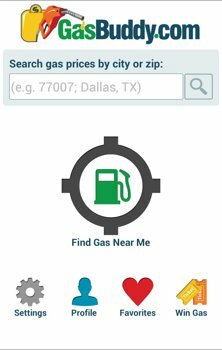 After specifying the method for finding your next fuel up spot, this essential RV app displays the results so the user can filter results by fuel type, brand, display results on a map, and even sort by distance instead of price. If you don’t have the time to drive to the cheapest option, this is great for finding the closest, or your preferred brand. The logo for the gas station is always shown regardless of the standard or map view you have chosen to see your results on. 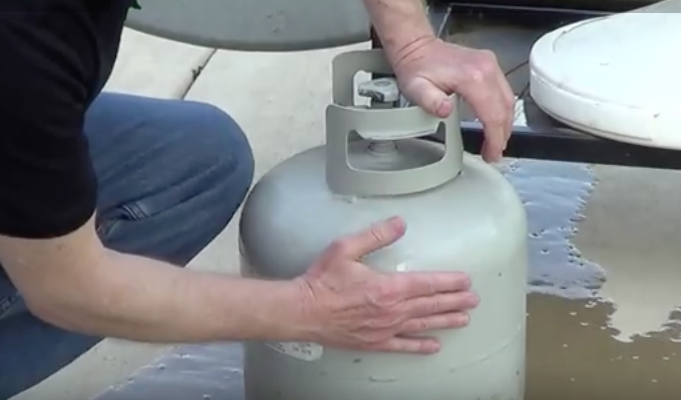 This is a great feature as many of us prefer certain fuel brands. 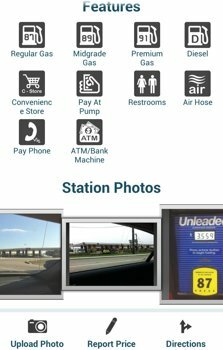 Once you select a gas station you can see an array of detailed information about the location. You can see photos, features (such as ATM, payphone, and air), and directions to the chosen station. This allows you to narrow the fuel up decision to an even greater degree. 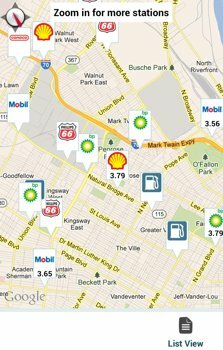 Using the GPS Location Function: Find fuel by letting the GasBuddy app use your GPS location to find the closest and most cost effective options. Using the Favorites Function: Over time as you find fuel stations you like, you can “favorite” them and the app creates a special favorites list that is searchable in real time from the main screen. In the amount of time it takes to pay for the actual gas, you can search, find and get directions to your next fuel stop. Its free to become a GasBuddy member. Even if you don’t want to become a GasBuddy member the app will still function as intended – yet you will not be able to update price information, upload photos, or earn rewards, etc. You can register through the app or on their website www.gasbuddy.com. Once you become a member and login, you earn rewards for updating prices, using the website, sharing the app with friends, or just signing up. You then can take these earned reward points and exchange them for tickets that enter you into a weekly drawing for a gas card with a $250 balance. 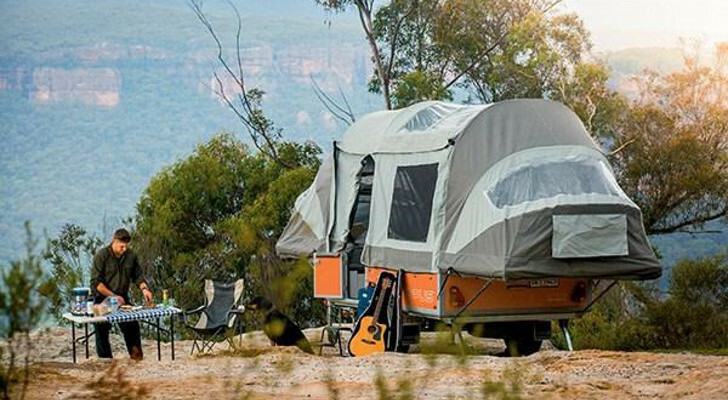 The GasBuddy is an essential RV app for any RV’er with a smartphone in our opinion. 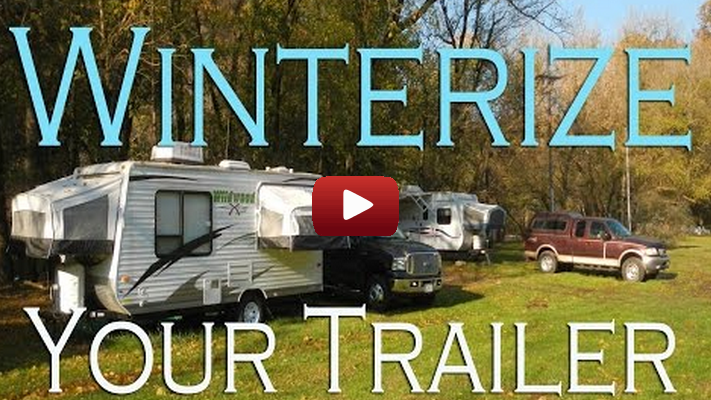 It even makes our list of essential RV apps. This RV app is wonderful. 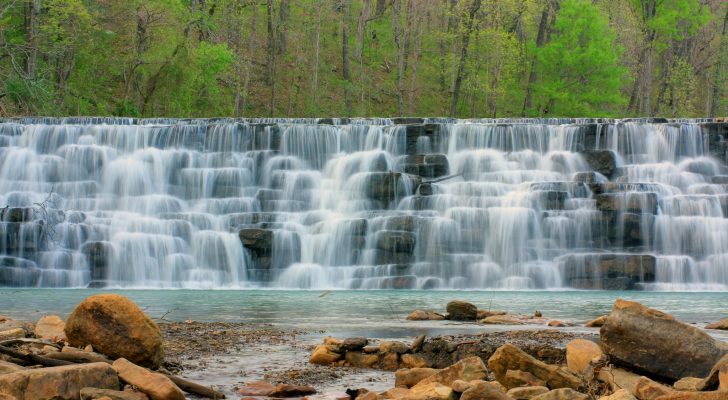 But, you may also consider using the actual website which brings a host of additional features. There you will find a trip cost calculator, historical gas price charts, gas price heat map, and a slew of other fuel related information. 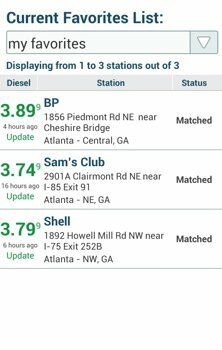 There is no excuse not to have the GasBuddy app on your smartphone nor is there a better option for this type of information. Get started by downloading the app using the links below based on your smartphone device. In a pinch you can visit m.gasbuddy.com from any phone with a internet browser and get access to a touch enabled mobile website with core GasBuddy functionality! We used this while traveling with a friend who didn’t have the app installed and it was a painless way to get the info we needed without downloading a new app, entering passwords, etc.